When Alix was a child, food and family were the two cornerstones of her life. Her first formative experiences with food were cooking and baking with her grandparents in the kitchen and sitting down to eat dinner as a family every night. Remembering those days, she has a vivid picture of the meals, including details of the various familiar aromas permeating her house and the precise feelings those experiences evoked. Recently, these recollections have become more significant and tangible with the passing of her grandfather, Leonard Morris A”H. Alix’s passion for cooking was inspired by her grandfather, who truly loved to cook. With the influence of his contagious optimism, lively spirit and curiosity, she hopes to impact the lives of others through their joint passion. In this way, she looks forward to passing along the universally vital language of food, tradition, family and overall wellbeing. After receiving her Bachelor of Science in Nutrition and Dietetics from NYU, Alix completed a one-year, clinically based dietetic internship at NY Presbyterian Hospital. She rotated through different units, including gastroenterology, cardiology, oncology, neurology, endocrinology, nephrology, behavioral health, foodservice, pediatrics, geriatrics, nutrition support and research! While working with the medical teams, she learned to implement scientifically based nutrition care plans. 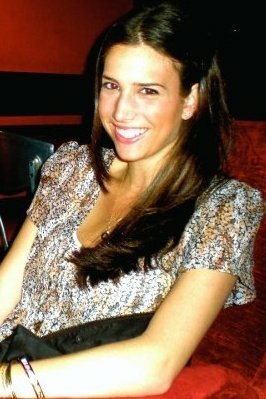 Upon becoming a Registered Dietitian, Alix continued her professional studies by attending the Natural Gourmet Institute for Health and Culinary Arts in NY, a leading culinary school that uniquely focuses on health-supportive cooking. She is the founder of Shovels and Spoons and a member of the Academy of Nutrition and Dietetics and the Greater New York Dietetic Association. This fall, Alix will begin a Master’s degree program in Nutrition and Exercise Physiology at Columbia University. She is eager to continue her professional growth and maintain her expertise in the field with up-to-date data and research. Alix has a simple philosophy: Developing a meaningful connection to your food nourishes the body and the mind. She believes that the creative and interactive aspects of meal planning and cooking are just as integral to producing a healthy lifestyle as is the actual food itself. Her holistic approach to health is based on her conviction that wellbeing is achieved through a personal awareness of the farm-to-table connection and the relationships that this awareness fosters. Alix firmly believes that cooking with and for friends and family instills community values, creative collaboration and family traditions so that it fully nurtures every aspect of an individual’s physical and spiritual being. In addition to pursuing her passion in nutrition and cooking, Alix appreciates the physical fitness component of health and participates regularly in exercise including spinning, snowboarding, dancing and yoga. Please contact us for any inquiries regarding Shovels and Spoons and the various services we offer beyond this program.